One of the largest barriers in applying deep learning is the availability of labelled training data. Let’s take autonomous vehicles as an example: humans can learn to drive reasonably quickly, but it's an incredibly difficult task for a computer. Training deep learning systems to understand every nuanced situation that might occur might require billions of miles of training data, and it's impossible to create that amount of data by driving real cars on real roads. The only solution is to augment the real data with synthetic data. Creating synthetic training data for the deep learning problems of the future is what we do. Deep Vision Data creates synthetic training data for machine learning systems such as neural networks. Neural networks are computer systems that aren't explicitly programmed, instead they are "trained" by providing them thousands or millions of examples. Self-driving cars, personal assistants like Alexa, Siri and Google Home, language translation and facial recognition are all applications of a class of machine learning called deep neural networks. At the AI in Industrial Automation Summit in San Francisco this June 28 - 29, we will be joined by Deep Vision Data, and in advance of the event we spoke with Founder, Rick Schweet to hear more about the company and how it came about. How did you start your work in AI and deep learning? I actually didn’t set out down this route intentionally, it was totally by accident. I own a 130-person product and software development company called Kinetic Vision and a few years ago some of our key customers started asking for CGI imagery that was unusual. Eventually, we figured out that we were creating synthetic training data for their machine learning systems. Demand increased and Deep Vision Data was formed to meet that demand. As President and founder my main role is creating an environment where our management and multidisciplinary staff can flourish as we grow. That spans strategic planning and management to building new facilities. Fortunately, my executive management team is incredibly dedicated and very focused on our success. What is synthetic training data? Training a deep neural network is done by providing it a great number of examples of what it is trying to recognize. Traditionally the example dataset are actual photos, emails, recorded speech and other "real-life" information. This process works great for recognizing cats in photos because there's millions of cat photos available to deep learning researchers. But what if physical training data is difficult or impossible to obtain? What if it's confidential like medical imaging? That's where synthetic training data becomes useful. Synthetic data is artificially created using computer graphics, real-time simulators, custom software and many other methods, and has been proven by researchers at Apple, Google, NVIDIA and many other companies to work as well as the real thing. Most often it supplements real data as opposed to completely replacing it. What are other advantages of using synthetic data to train deep learning systems? Speed and accuracy of system development. Consider the task of an autonomous automobile. 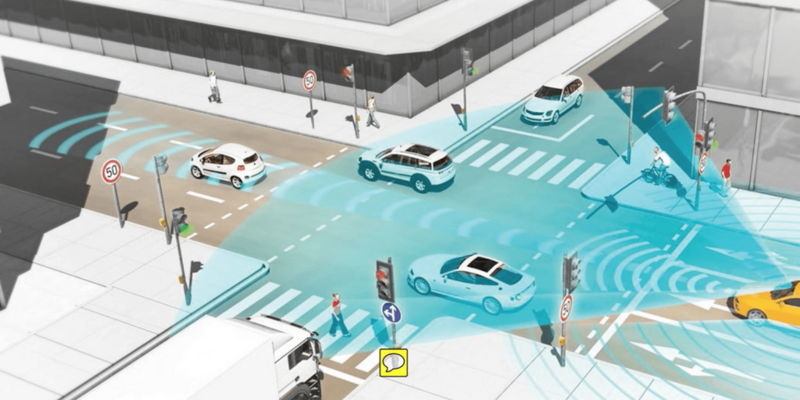 A fleet of twenty cars can accumulate one million miles of training data in a year, but it's possible that one billion miles of data is required to fully train an autonomous vehicle system. How is it possible to collect that much real-world data? The answer is that it's not possible. What is possible is to create real-time driving simulators (think super-good video game) and then leverage those systems with a thousand people driving 24 hours a day. That's exactly what NVIDIA's Drive platform does. Now you've compressed the development time by a thousand-fold. Deep Vision Data has done the exact same thing in robotics applications. Yes. Synthetic training data was used by Apple researchers to create a more robust system for recognizing eye gaze direction. Researchers at UC Santa Cruz trained an image system with synthetic data to recognize various stages of galaxy formation for use with the Hubble Space Telescope. Most famously, DeepMind's AlphaGo Zero trained itself to become the best Go player in world without any physical data at all. In fact, it beat the original AlphaGo (which was trained with thousands of human amateur and professional games to learn how to play Go) 100 games to zero. Nearly 3000 years of human knowledge and Go expertise apparently was wrong! What are the potential future applications of machine learning systems? "It is a renaissance, it is a golden age. We are now solving problems with machine learning and artificial intelligence that were ... in the realm of science fiction for the last several decades. And natural language understanding, machine vision problems, it really is an amazing renaissance." The main limitation in this future is the availability of training data. Physical data just isn't available or cost-effective in all situations. In those cases people will turn to synthetic data to replace or augment their real data, and Deep Vision Data will be there to create it for them. We have the designers, engineers, software developers, real-time simulator developers and digital artists to handle almost any synthetic data creation challenge. Would you advise a career in AI and what do you think the key skills required are? Many say that AI will soon become part of our daily lives just like the internet, mobile devices and social media. It's inevitable that machine learning will eventually replace human expertise in medicine, law, finance, science, engineering and many other fields. That won't happen overnight, but we already know that a neural network can detect skin cancer better than a dermatologist so it's logical that any field that relies on human learning and cognitive intelligence will be eventually replaced by deep learning. In my opinion, demand for the skills to create these systems will probably far outstrip the supply for at least the next decade. The skills required are far-reaching: you need basic research, but you also need pragmatic understanding of how to apply that research. Just about every field of human endeavour will eventually be touched so even if you don't want to become an AI expert I suggest it's in everyone's best interest to become familiar with the basics so that they can leverage their particular skills with this world-changing technology.